Have you seen Walmart’s new Dare to Compare site? Every hour Walmart compares the price of hundreds of the best products against the online prices of Amazon, Best Buy, Target, Home Depot, Toys R Us and Babies R Us. If Walmart’s price is more than their competitor, they are automatically lowering their price to be at or below their competitor. This way you can do all your shopping in one place and be guaranteed that you are getting the best deal available. You can see all the Dare to Compare items here! 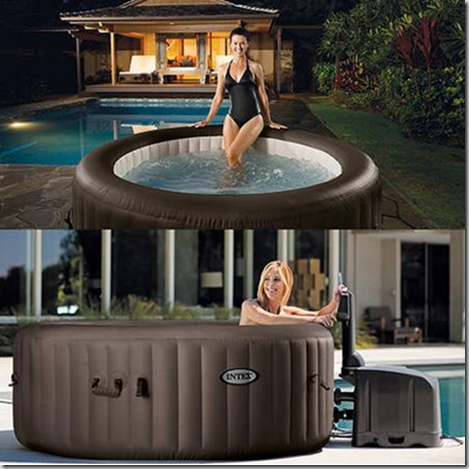 Walmart Dare to Compare Deal: Intex PureSpa Portable Jet Massage Spa Just $299, Normally $699! Here’s another great Dare to Compare deal! You can get a Intex PureSpa Portable Jet Massage Spa Set with 4 high-powered, water pressure massage jets for $299, normally $699! The portable Intex PureSpa Jet Massage brings you a high level of luxury and relaxation with restorative hydro-pressure massage. The patented Fiber-Tech Construction and the puncture-resistant, three-ply laminated material provide the ultimate comfort, support and durability. It is equipped with an easy-to-use control panel, which activates four high-powered, adjustable water pressure massage jets for relaxation. The heating system adjusts up to 104 degrees Fahrenheit to fit your temperature preference. It also comes with a built-in hard water treatment system, which makes the water gentler on skin and clothes and helps extend the lifespan of the spa. It comes with grab handles for easy transport, a carry bag for storage, a spa cover with locking buckles to prevent unauthorized access as well as minimize heat loss, a ground cloth, a floating chemical dispenser, and two replaceable filter cartridges. 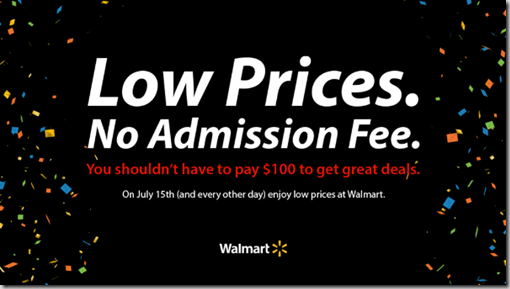 After their big victory over Amazon Prime Day, it seems that Walmart has gotten a bit feisty in their promotion of their Dare to Compare event. Today I’ve started seeing that Walmart is driving home how much better their sale was and continues to be over Amazon. One of the big complaints with Amazon Prime Day is that it seemed like a big yard sale with crap no one wanted on sale. So Walmart put the banner you see above out telling us that Walmart has deals on products you ACTUALLY WANT. Point, Walmart. The other complaint was that you had to pay a $99 Amazon Prime fee to get the deals. Not at Walmart and they want you to know that. Low Prices. No Admission Fee. Point, Walmart. This morning I got an email from Walmart pointing out that while Amazon Prime Day is over, the Walmart Dare to Compare event is going strong. New Rollbacks are added. No 1-Day Sales here. Point, Match, Walmart. Click here to get our e-book explaining how to save money at Walmart! 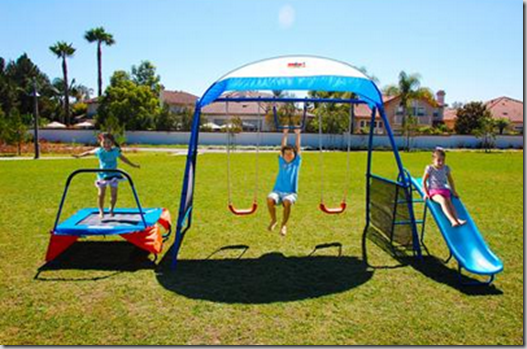 Walmart Dare to Compare Deal: Ironkids Playground with Trampoline Just $169! 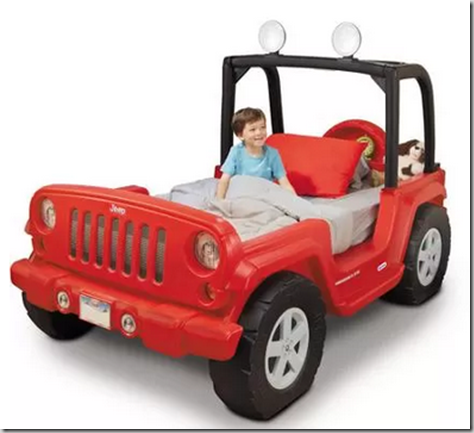 Walmart Dare to Compare Deal: Red Jeep Toddler Bed Just $279.98! Here is another Walmart Dare to Compare deal! You can get a Red Jeep Toddler Bed for $279.98! Kids can enjoy an adventure of sleep with this fun, Jeep-themed bed! This bed can grow with your toddlers as they advance to a twin bed. Amazon Prime Day Vs. Walmart Dare to Compare. Who Won? The Amazon Prime Day event is over! 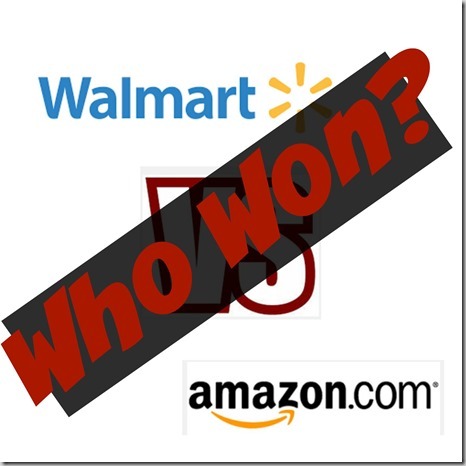 (Or at least will be in a few short hours) Amazon and Walmart went head to head with their deals today and it looks like there is a clear winner. Here’s a sampling of the Twitter feed I’ve been following today. I love @amazon and have been a #amazonprime prime member for 3 years, but #PrimeDay was a complete disappointment to me. I'm so old I remember when having #AmazonPrime was cool, and DIDN'T mean the company thought of you as just a blob that coughs up money. #AmazonPrime is a SCAM! Says u won't be charged til after 30 day trial, but u're charged IMMEDIATELY & EVEN MORE than the listed price! That is BRUTAL! But deserved. Amazon really screwed this day up something fierce. It seems like the people who got the deals mentioned in the quote were the lucky ones. If that Kate Spade purse disappeared in less than a minute, how about those shoppers that tried to get it a minute after it went live? They got nothing. With all this boasting about how they did better than Black Friday, they seem to have forgotten that one of the main reasons we shop online isn’t just price but the fact that we don’t have to fight with 500 people to get one of the 3 doorbusters the store we are in actually got shipped to it. But it looks like somehow Amazon managed to capture that frustrating Black Friday experience by ensuring that most shoppers ended up going away empty handed. On the other hand, an independent Yahoo Financial report rated the Walmart deals offered today much better than Amazon’s, pointing out that Walmart did a better job of putting relevant items on sale like TVs, Cell phones, and other items people use every day. Amazon’s offerings were compared to a junk bin full of things you probably wouldn’t buy even at a steep discount. But the biggest difference was the fact that Walmart had all their deals up all day long where Amazon went the “lightning deal” approach were deals were only good for a very short amount of time and you had to be glued to your computer all day checking deals. Turns out that some of us have to work during the day. Go figure. So it looks like Walmart totally trounced Amazon on their own day and without the huge amount of hype that Amazon laid out for this extravaganza. 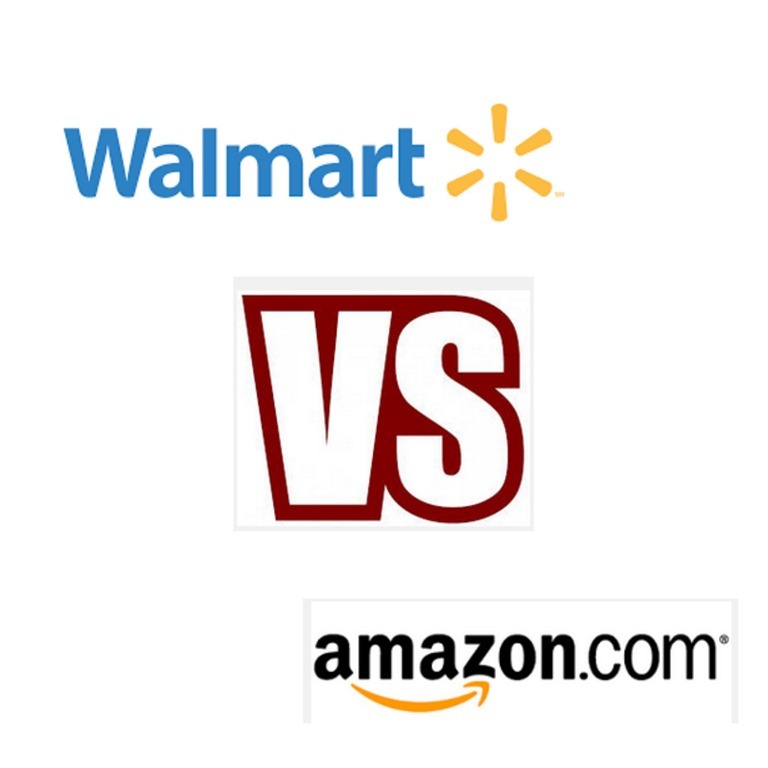 Maybe that online shopping gap between Amazon and Walmart is a little closer than Amazon realized! The best part is that Amazon Prime Day will be over soon but Walmart has promised us great Dare to Compare deals for the next 90 days. Click here to check them out! Did you get your hands on an awesome deal today? (Full disclosure: My MIL did buy an electric toothbrush as a gift for my son today from Amazon because she had a GC. I’m not sure what the price was before the sale but it seemed like a good deal.) Let me know in the comments! Walmart Dare to Compare Deal: Shark Steam Mop Just $20! Here is another Walmart Dare to Compare deal! Right now you can get a Shark Easy Spray Steam Mop DLX for $20! The Shark Easy Spray Steam Mop offers superior cleaning and faster dry times in an easy to use, lightweight mop design. 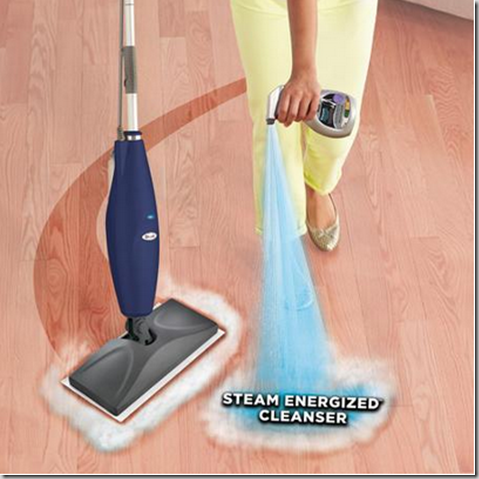 The Easy Spray Steam Mop automatically steams as you clean with our patented steam on demand technology! On Board Storage for Shark Steam Energized Cleanser gives you the convenience of added cleaning power when and where you need it. Shark Cleanser coupled with Disposable SaniFiber Pads makes Shark Easy Spray perfect quick cleanups as well as tackling tough, stuck-on and germy messes. 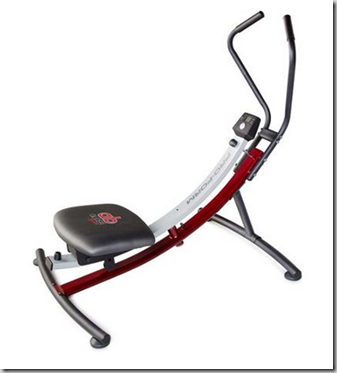 Walmart Dare to Compare Deal: ProForm Ab Glider Sport for $59! Here is another Walmart Dare to Compare deal! You can get a ProForm Ab Glider Sport on Rollback for $59! Mix it up to strengthen stabilizing muscles with fast and fun total core fitness! Challenge your abdominal, oblique, back and thigh muscles with 180-degree rotation. Fusing both ab-toning and oblique-strengthening motions, the Ab Glider Sport offers infinite possibilities for a dynamically fun total core workout. Plus the small footprint makes this product great for home spaces. 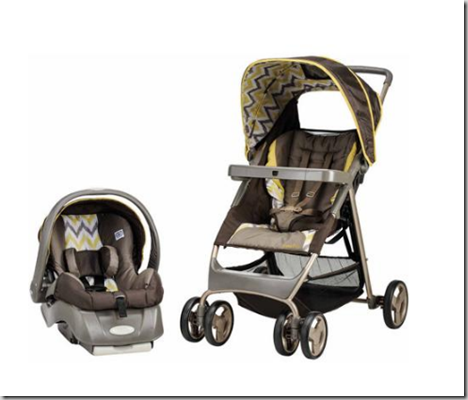 Walmart Dare to Compare Deal: Evenflo Baby Travel Stroller and Carseat for $139.13! Here’s another Walmart Dare to Compare deal! You can get a Evenflo Flexlite Travel System for $139.13! The Evenflo Flexlite Travel System features a stroller with a new ultra fast fold that makes portability super convenient for caregivers. Within seconds the stroller easily folds to a compact, self-standing fold with just one hand. The stroller design is lightweight, yet durable and the infant car seat offers an extended weight rating from 4-35lbs. The Evenflo Flexlite Travel System is designed to grow with families offering solutions for children up to 50 lbs. Pair with a the car seat for quick and easy transitions from car to stroll or use as a stroller only. As your child ages change up the seating, remove the tray and use the bonus snack and drink cups for open seating. Additional features include: multi-position reclining stroller seat, large storage basket, parent drink holder, full canopy with peek-a-boo window and front swivel locking wheels. This travel system includes the FlexLite Stroller, Embrace LX Infant Car Seat and car seat base. Walmart Dare to Compare Deal: HP 11.6” Stream Laptop for $188! Here’s a great Walmart Dare to Compare deal! You can get a HP 11.6" Stream Laptop PC with Intel Celeron Processor, 2GB Memory, 32GB Hard Drive, Windows 8.1 and Microsoft Office 365 Personal for $188! Work from a happy place with a Windows-based PC that lets you store 1TB of your content in the cloud for easy access in more places. Microsoft Office 365 Personal is also already included with the HP Stream Laptop Stream 11-D010WM along with a $25 Microsoft Gift Card for purchasing games, movies, music and more. Eligible for free Windows 10 upgrade, coming soon! Save to flash storage for quick and easy recall. Store 21,000 photos, 9,000 songs or 16 hours of HD video and more. 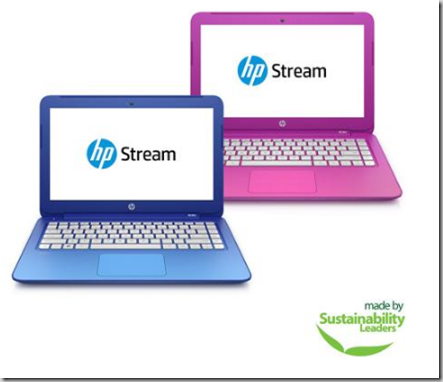 The HP Stream Laptop Stream 11-D010WM is 2.82 lbs, 0.78" x 11.81" x 8.1"
Walmart VS Amazon: It’s Getting Personal! First, Amazon announced their Amazon Prime Day. Not to be out done, Walmart announced their Dare to Compare event. But they didn’t just announce it, they had to take a not-to-subtle swipe at Amazon. Not to be out done, Amazon came back today with this little doozy. Yikes! Although he’s got a point, Walmart shouldn’t have different prices online and in-store, especially now that they price match their own online prices anyway. 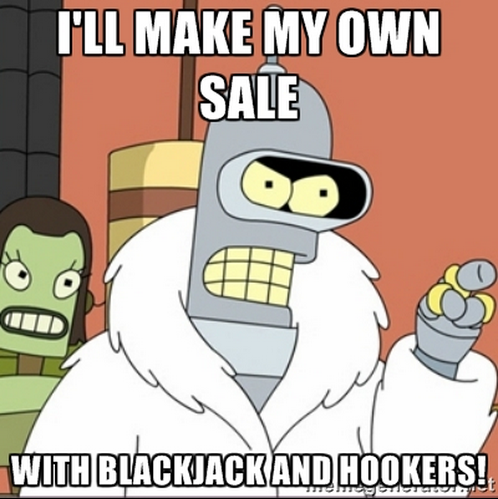 Honestly, I can’t until tomorrow to see all the deals unfold. It’s gonna be awesome! be sure you come back here all day Wednesday to see the best deals! 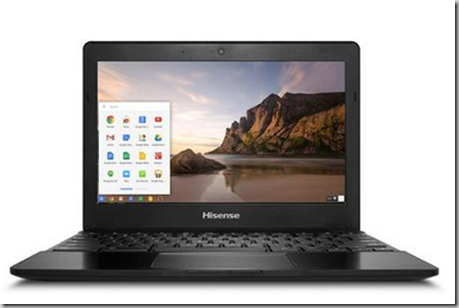 Walmart Dare to Compare Deal: Hisense Chromebook Just $149.99! Here’s another Walmart Dare to Compare deal! You can get a Hisense Chromebook for just $149.99! Just as an aside, I bought a little Chromebook a few years ago just se what in the world it does and was very happy with it. I hadn’t realized how much of what I do on the computer day to day is done in a browser. With up to 8.5 hours of battery life, the Hisense Chromebook keeps you going all day. The Hisense Chromebook features a textured lid for keeping a sure grip and a metal palm-rest to add structure and comfort while typing. Chromebooks are automatically kept up to date, so you’ll always have the latest virus protection, along with the latest features like Voice Search. Best of all, your Chromebook won’t slow down over time. Instead of Windows OS or Apple OS, Chromebooks run on Chrome OS, an operating system that features multiple layers of security, cloud storage and the most popular Google products built right in. Chromebook won’t load and run traditional PC applications such as Microsoft Office or Skype. However, Chromebook uses Chrome-specific apps for everyday tasks. You’ll be able to create documents, listen to music, edit your photos, chat with friends and family and play online games. Plus, you can download many additional apps from the Chrome Web Store. No more buying and installing software — thousands of apps are free and feature automatic updates. Your Chromebook will update itself for free, so you’ll always have the latest and greatest version. No need for manual downloads and upgrades. 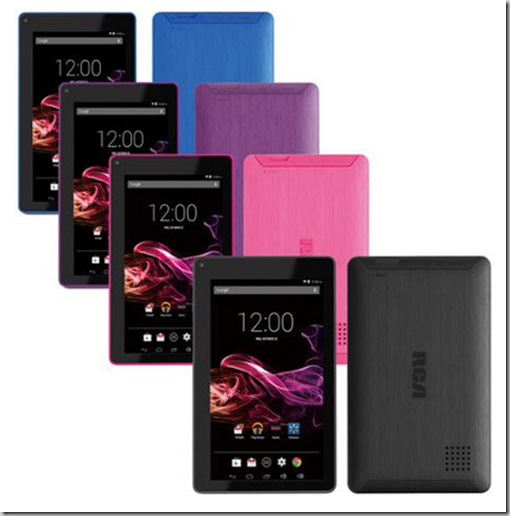 Walmart Dare to Compare Deal: RCA 7” Tablet for $39 with FREE Shipping! 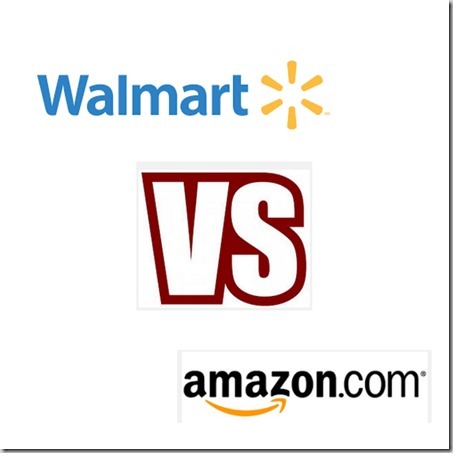 The Walmart “Dare to Compare” deals have already started and there are some great deals! Right now you can get a RCA 7" Tablet 8GB Quad Core for $39.99! Plus, because they lowered the FREE shipping threshold to $35, you can get this shipped to you for FREE! Introducing the RCA RCT6773W22 7-inch Google Certified tablet. Operating on Android’s latest operating system, Android 4.4 (KitKat), you can enjoy more of what the Google Play store has to offer. Share a smile with friends and family using the tablet’s front camera. Whether taking in a movie, playing a favorite game or surfing the Web, the RCA tablet’s quad-core processor and 8GB flash storage surely won’t disappoint. Walmart Announces HUGE Dare to Compare Event to Compete With Amazon Prime Day! Well good news! Walmart just announced a competing sale on the 15th full of awesome deals and you DON’T have to pay $99 to save! Lower Minimum Shipping – Usually you have to spend $50 to get FREE shipping from Walmart but they are lowering that to $35 for the sale starting today. Of course, you can always use the Ship to Store option to ship anything to your local store for FREE. Everything will be cheaper than Amazon – OK, not EVERYTHING but everything on this page will be guaranteed to be cheaper than Amazon. In fact, be sure to bookmark that page and check it often. Look for the “Atomic” Deals – We don’t know much about this yet but Walmart has promised us some super special “Atomic” Deals that is sure to blow our socks off. 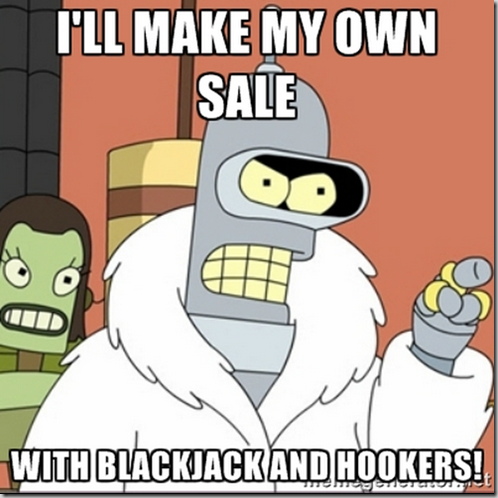 It Needs a Name – I wish Walmart was calling this sale something cool like Walmart Better Than Prime day, or Walmart Christmas in July, or Down with Amazon Day. Just something cool. 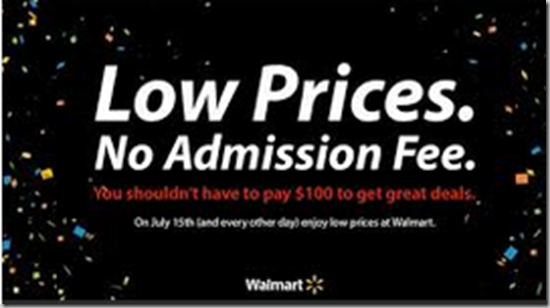 Even the blogpost they put out announcing it just says that Everyday is Low Price Day at Walmart. Everyday Low Price Day is a stupid name for a special sale like this.. Come on Walmart Marketing, you can do better than this! Walmart Atomic Deals Day? Feel free to steal that. UPDATE: Looks like they are calling it “Dare to Compare”.